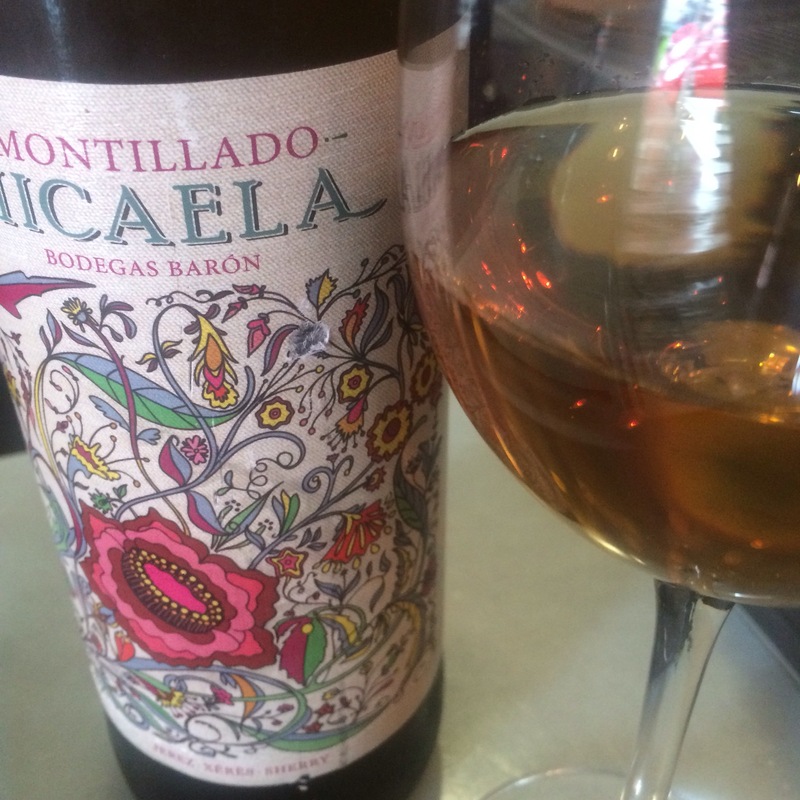 I first had this ages ago, pre-blog, in the Chula, and finding myself at said locale once more (first time this week) I thought I would continue my mini-streak of Sanlucar amontillados and palo cortados . It is a young amontillado (4-5 years old) from Bodegas Baron in Sanlucar. (Bodegas Baron produce no fewer than 4 amontillados under their different brands: this and the Pino Viejo are 4-5 years old, then there is the Xixarito at 14 years and the Soluqua at 30 years.) Like all the Bodegas Baron wines this one is nicely presented, with a kind of antique floral label. As you can see, the wine itself is darkish amber in colour – more yellow than orange – and it has a quite baked apple/mineral nose. I would guess it was under the flor for at least a couple of those 4-5 years because it is really zingy, the salinity makes the caramel flavours seem intense, then there are smoky minerals and burned sugar flavours that seem to last a long time. Maybe not quite as full flavoured/varied in the middle but plenty tasty alright.